WHITE PLAINS, N.Y., March 4, 2015 – The USTA Southwest Section today announced that the Scottsdale Ranch Park in Scottsdale, Ariz. will host the US Open National Playoffs USTA Southwest Sectional Qualifying Tournament, May 2-5, 2015. Earlier today, the USTA announced the return of the US Open National Playoffs for the sixth year, adding a men’s doubles and women’s doubles component this year. 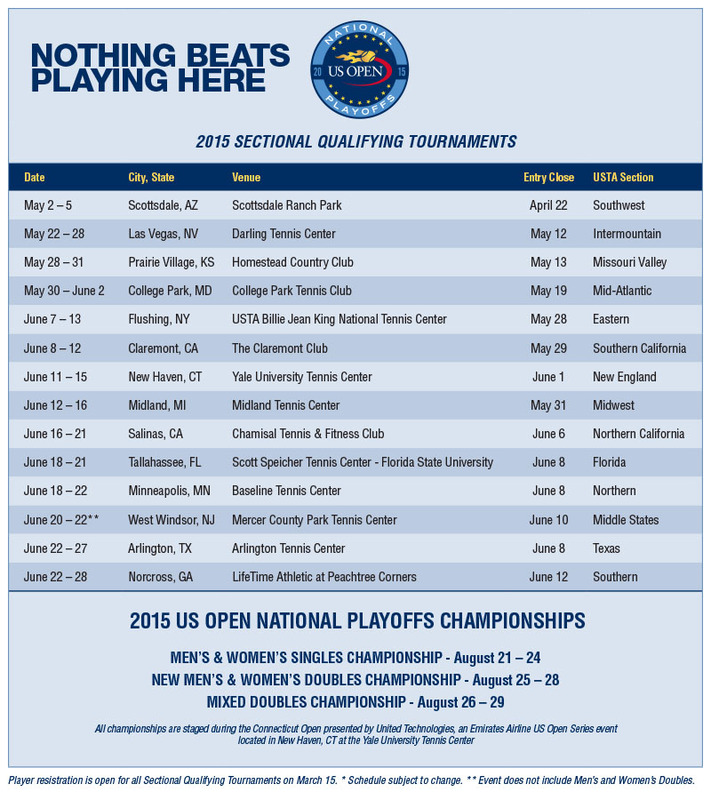 The US Open National Playoffs will still include both men’s and women’s singles, as well as mixed doubles. The USTA created the US Open National Playoffs to expand the footprint of the US Open to cities nationwide by providing the opportunity for all players 14 years of age and older to earn a berth into the US Open. The US Open National Playoffs men’s, women’s and mixed doubles champions receive a wild card into the main draw of the 2015 US Open. All five tournaments will take place in conjunction with the Connecticut Open presented by United Technologies, an Emirates Airline US Open Series event, in New Haven, Conn.
"This tournament is truly a great way for anyone with a goal of one day competing at the US Open to take a stab at a local event that could ultimately send them on their way to a potential US Open bid," said Jeff Sikes, USTA Southwest Marketing & Communications Director. "It's the most open of open tournaments there is. We get players of all ages and ability levels who want to take a shot at it. It's cool that it's local and people can feel like they were just a few matches away from maybe living their dream to play at a Grand Slam event. We've had a couple of our players win our event, then the national one and actually get to play in a Grand Slam draw, so it can be done." 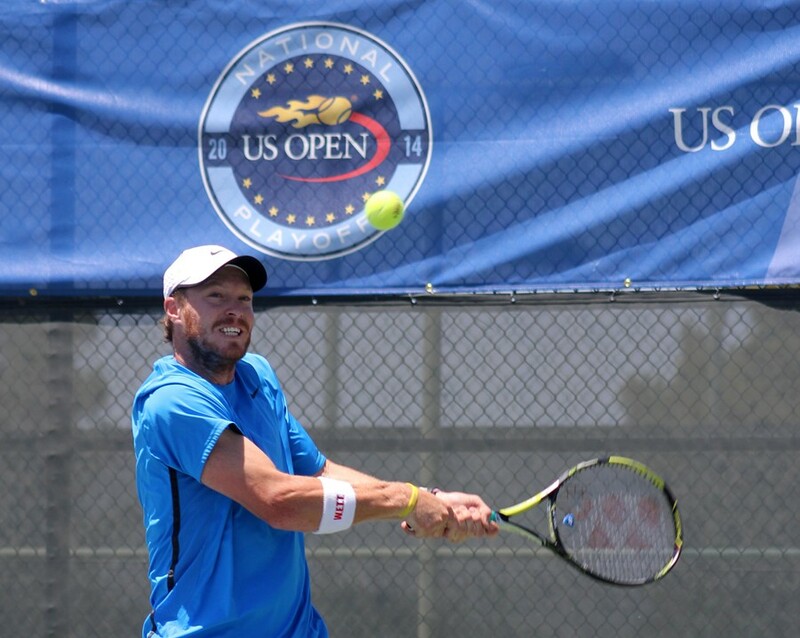 Last year's US Open Playoff USTA Southwest mixed doubles champions former Arizona State All-American Jacqueline Cako and Scottsdale's Joel Kielbowicz (pictured, right), won the section tournament, then the national event a couple of months later. Their ultimate reward? A first-round US Open main draw mixed doubles match on the Grandstand court in an afternoon day match against Donald Young and Taylor Townsend. In 2012, Southwest champions Brian Battistone and Nicole Melichar also reached the US Open main draw in mixed doubles. The entry fee is $75 for men’s and women’s singles and $50 per player for doubles. 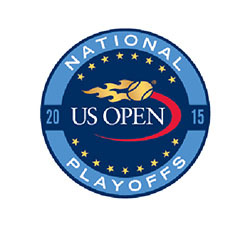 All players competing must have a current USTA membership valid through August 31, 2015. More than 1,200 players competed in the 2014 US Open National Playoffs, which marked the largest year-over-year increase in entries in the program's five-year history. Players ranged from experienced professionals who were once ranked in the Top 50, to junior players and current/ former college standouts, to recreational players of all playing abilities and walks of life. Participants included those competing for charity, businesspeople, musicians, lawyers, reporters, former athletes, and stay-at-home mothers. The US Open Qualifying Tournament will be held Aug. 25-28, the US Open men’s and women’s doubles championships begin Sept. 1 and the US Open mixed doubles championship begins Sept. 2 at the USTA Billie Jean King National Tennis Center in Flushing, N.Y. The 2015 US Open is scheduled to take place from Aug. 31, to Sept. 13. US Open National Playoffs information is available at www.USOpen.org/NationalPlayoffs or ENTER ONLINE HERE. 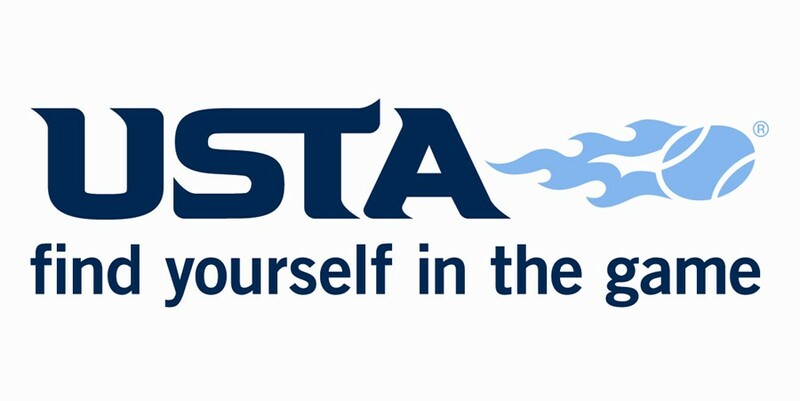 The USTA is the national governing body for the sport of tennis in the U.S. and the leader in promoting and developing the growth of tennis at every level -- from local communities to the highest level of the professional game. A not-for-profit organization with more than 715,000 members, it invests 100% of its proceeds in growing the game. It owns and operates the US Open, the highest-attended annual sporting event in the world, and launched the Emirates Airline US Open Series, linking eight summer tournaments to the US Open. In addition, it owns approximately 90 Pro Circuit events throughout the U.S. and selects the teams for the Davis Cup, Fed Cup, Olympic and Paralympic Games. To find out more about USTA Southwest, visit us at facebook.com/ustasouthwest or @USTASouthwest on Twitter or www.instagram.com/ustasouthwest on Instagram.